Every year on September 20 to September 26 is the animal welfare week. Animal Welfare Week is a week to deepen interest and understanding about the feelings of loving animals and how to properly take care of an animal. In Mie prefecture, for the animal welfare week, we will hold the following events. We are waiting for your participation. Contents: Animal Welfare Class, “Animal Doctor” Experience, making a message “Thank you” card for animals, etc. Note: You cannot enter the park with your pet. Contents: Dog and ​​Cat longevity awards ceremony, dog dance, (Asumairu) handmade corner etc. 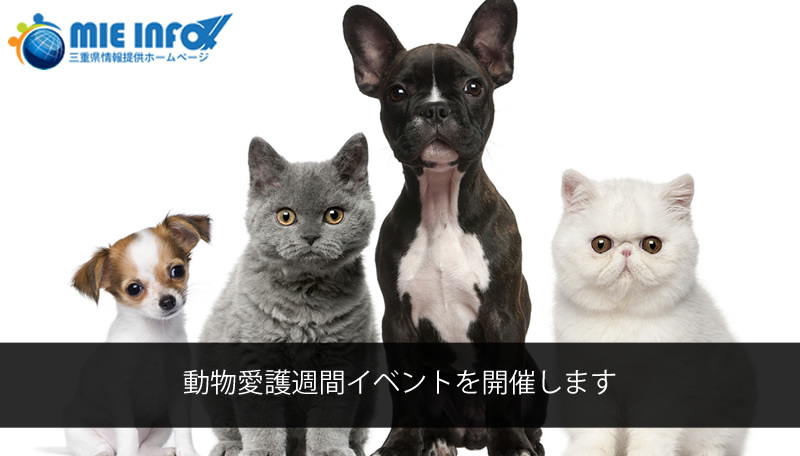 *A dog waiting for a new owner ･ Meet the cat Please come and join us!